17-time Grand Slam champion Roger Federer (Player Profile) will begin his quest for a 22 career Masters 1000 title this week at the Shanghai Rolex Masters. His first opponent is Andreas Seppi (Player Profile), who has encountered the Swiss on nine previous occasions on the ATP tour.The Italian is yet to topple the former No. 1 player and will be looking for that opportunity tomorrow evening. 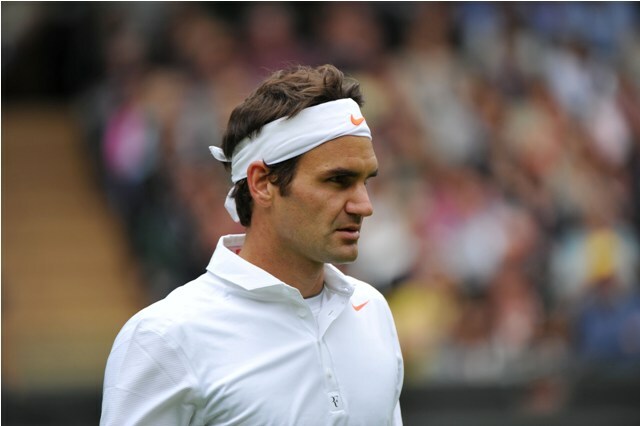 Check out the Federer vs Seppi Head to Head. Federer has certainly had one of his most disappointing seasons in the past decade, winning a lone title in Halle and failing to contend in a Grand Slam quarter-final for the first time since 2004, when he exited Wimbledon and the US Open in disappointing fashion. His inability to win big matches has seen him drop from the top spot in July 2012, to a low of No. 7 heading into the Shanghai Rolex Masters. He has compiled a 18-6 record on hard court and a 10-4 record in Masters 1000 tournaments. The Swiss legend is out to claim his 22nd Master career title and desperately searching for valuable ranking points to qualify for the ATP World Tour Finals. Andreas Seppi has had a decent season in 2013, reaching 4 ATP semi-finals and breaking his losing streak at the US Open by reaching the third round this year. He also reached the final 16 at Wimbledon, losing only to Juan Martin del Potro. While the Italian began the year at No. 18 in the ATP rankings, he has dropped four places over the year to No. 22, yet has managed to stay consistent enough to remain in the top 25. With fellow countryman Fabio Fognini ranked at No. 17, this marks the first time two Italians have ranked in the top 25 since 1996 (Furlan and Gaudenzi). He has a 15-13 record on hard courts this season and 5-7 in Masters 1000. Seppi began his bid at the Shanghai Masters by ousting Australia’s Lleyton Hewitt 6-4,6-2 in the opening round. While he had lost to Hewitt on both their prior meetings, his dominant first serve secured him a comfortable win over the former World No. 1. Hewitt even started the match by racing to a 3-0 lead but was unable to maintain his lead and quickly allowed the Italian to regroup and impose his will. He will now face a much more daunting task in the second round, when he attempts to defeat Roger Federer for the first time in his career. This marks the 10 encounter between the two competitors, with Federer leading the series with a perfect 9-0. The Italian has only taken a set off Federer on two of those nine occasions (both on hard courts) and if he could topple the giant tomorrow, it would be one of the greatest achievements in his entire career and would almost certainly end Federer’s bid at qualifying for the Barcalys ATP World Tour Finals. While an upset is always looming around the corner, it is unlikely that the motivated Roger will make for easy picking on Wednesday afternoon.